Even though we backpack most of the time (we rarely carry check-in luggage), we often want to spend the entire day exploring new places without lugging all our stuff on our backs. When we travel to a destination, we simply want to leave the bulk of our stuff inside our room or tent. Indeed, there are many times when all that is needed for us to carry around is just a few sets of extra clothes, a bottle of water, a camera, and some travel essentials. After all, traveling light means a more enjoyable adventure. In the past, we usually put these travel essentials and souvenirs we purchase along the way in a large, bulky shoulder tote. But we have found a better solution, and that is the Sea to Summit Ultra-Sil TravellingLight Day Pack. The TravellingLight Day Pack is an innovative collapsible backpack. 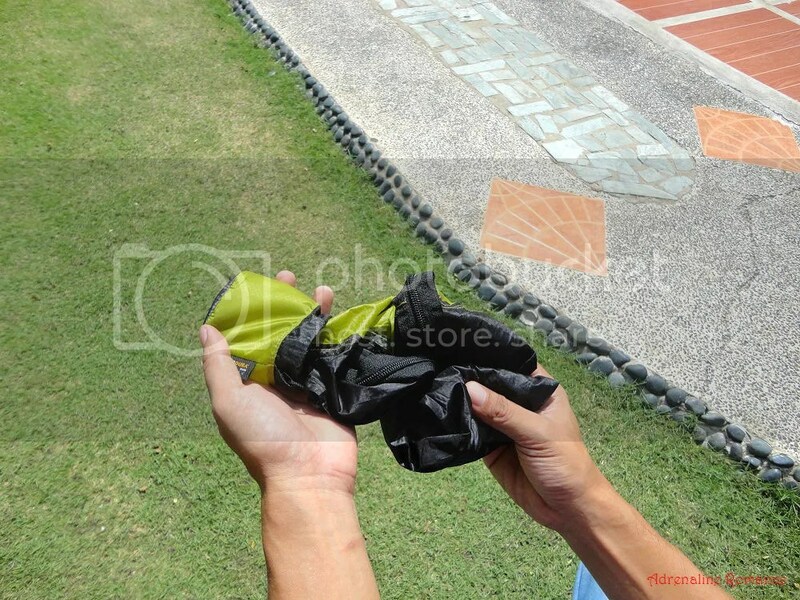 It fits in its own waterproof, drawstring pouch, which fits right in the palm of your hand. The pouch has a small loop of webbing where you can attach keys or your car alarm. It’s a no-brainer to see that this compact Day Pack fits anywhere, even in your pocket. 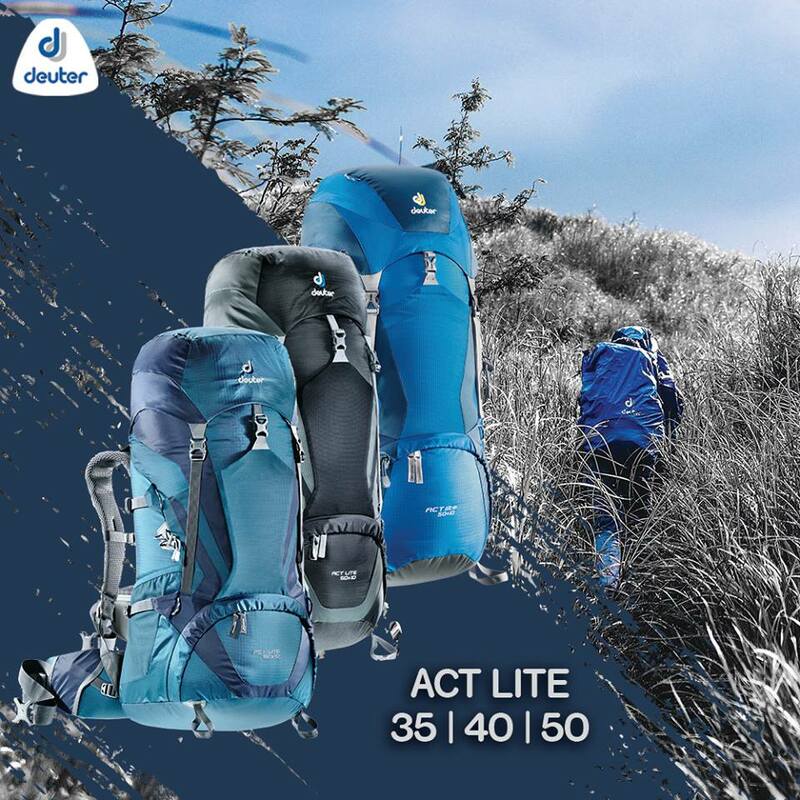 In all, the Day Pack is feather light, weighting just 68 grams. 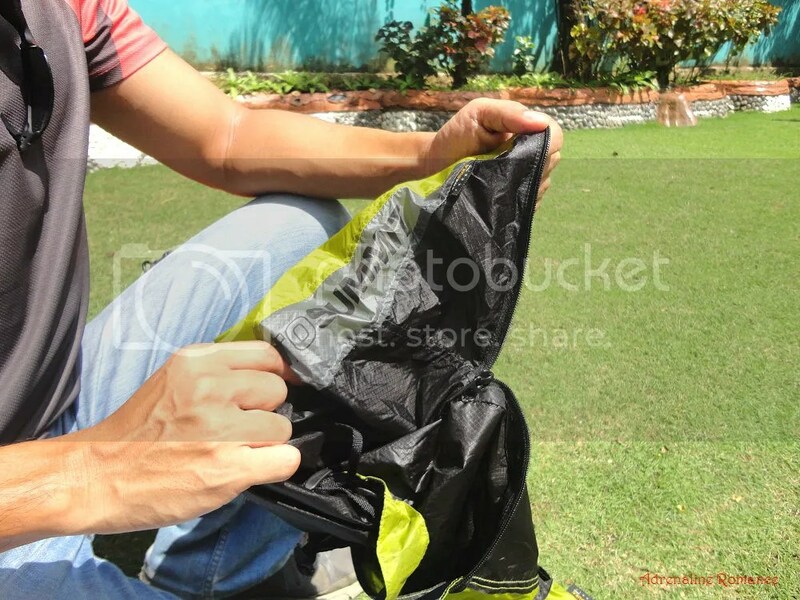 To convert it into a backpack, simply open the drawstring and pull the content out. The Day Pack’s default orientation is outside-in as you pull it off its pouch. Open the zipper and turn it inside out. You can now place your things inside. The Day Pack looks thin and fragile, but don’t let its looks deceive you. The material is made of siliconized Cordura, which makes it incredibly durable. Also, check out the fabric. 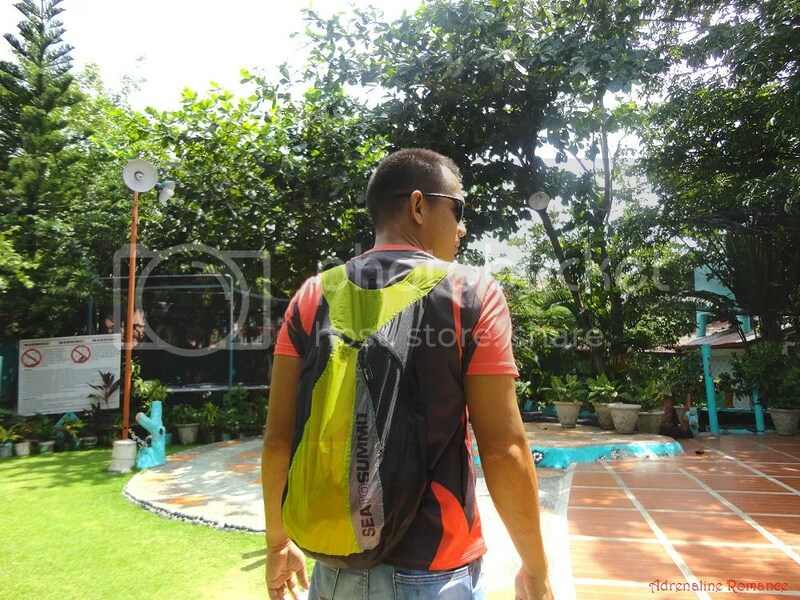 From the photo below, you can easily deduce that the Day Pack is resistant against spills, light rain, water splashes, mist, and more. It has a spacious main compartment where you can put your essentials. 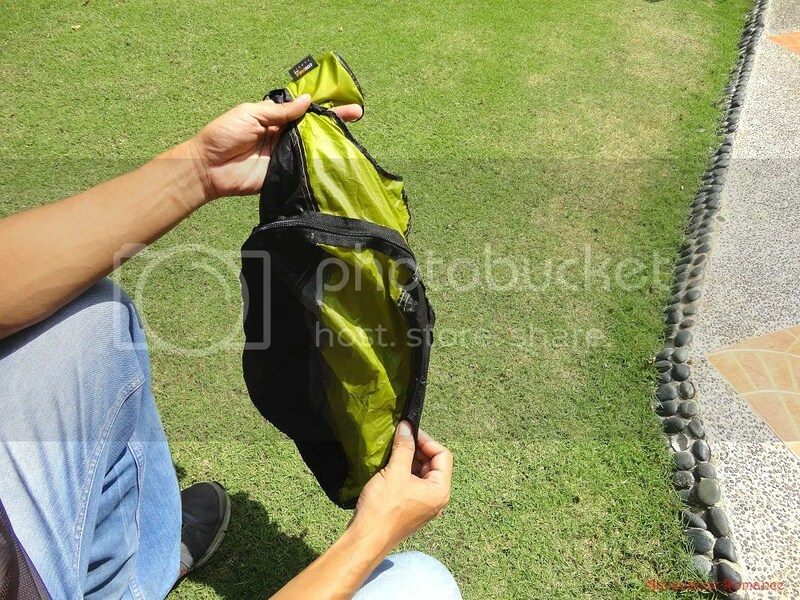 The pouch converts to a secondary compartment where you can place coins and keys. Check out the siliconized Cordura, which makes the Day Pack resilient against many types of abuse. Also, notice the double stitching that ensures strength and durability. Sea to Summit also bar-tacked all stress points in the pack. Strap it on and you’re ready to go! 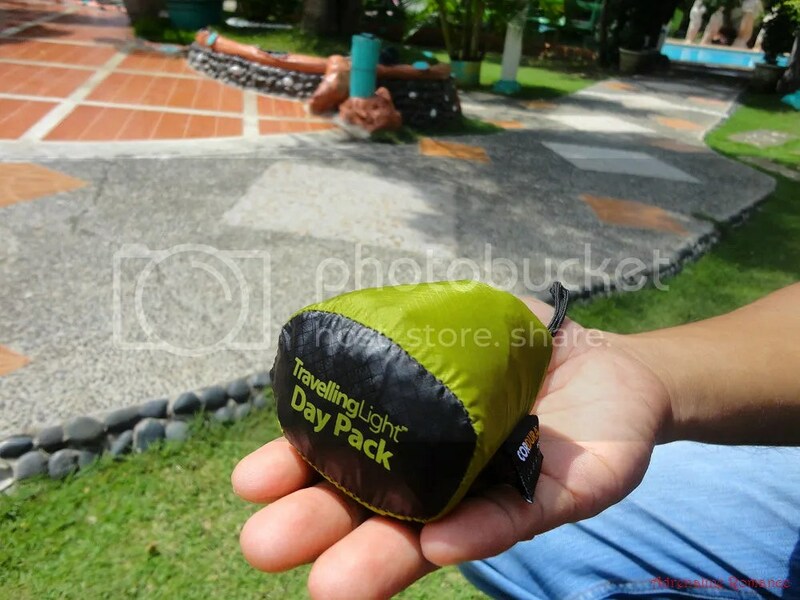 Don’t worry if you’ll fill your TravellingLight Day Pack to the brim. The Sea to Summit design team has skillfully engineered the Day Pack so that it can carry 150 pounds! You can now use your Day Pack as a summit pack, a carry-on bag, a shopping tote, a beach bag an exploration pack, and more! 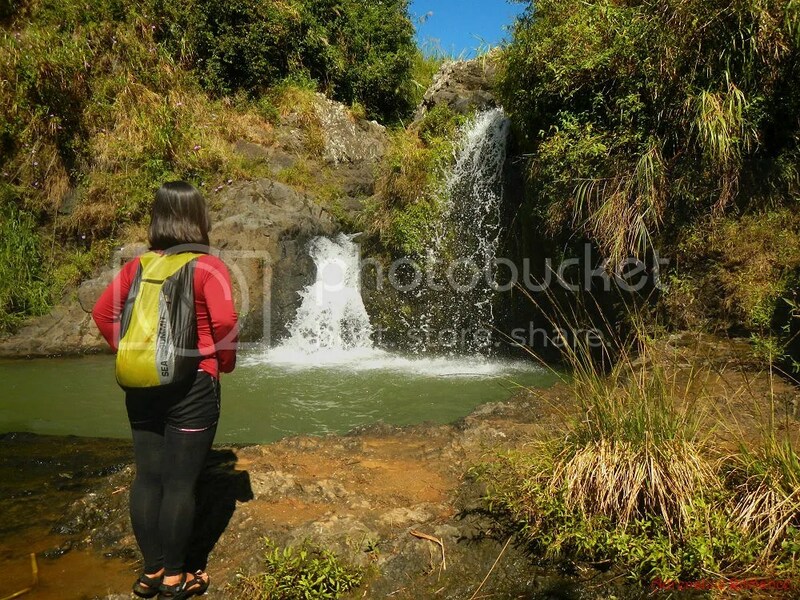 The only minor drawback of the Ultra-Sil TravellingLight Day Pack is its thin, adjustable backpack straps. While their thinness allows the pack to collapse into its own pouch, they “bite” through the shoulder, especially if carrying a heavy load. We found a video tutorial which involves slicing the straps and inserting foam pads into them. Unfortunately, that would defeat the purpose of the Day Pack being collapsible and could compromise the integrity of the unit. Make sure you wash your Ultra-Sil TravellingLight Day Pack with fresh water if it has been exposed to seawater or salt moisture to preserve the waterproof coating. 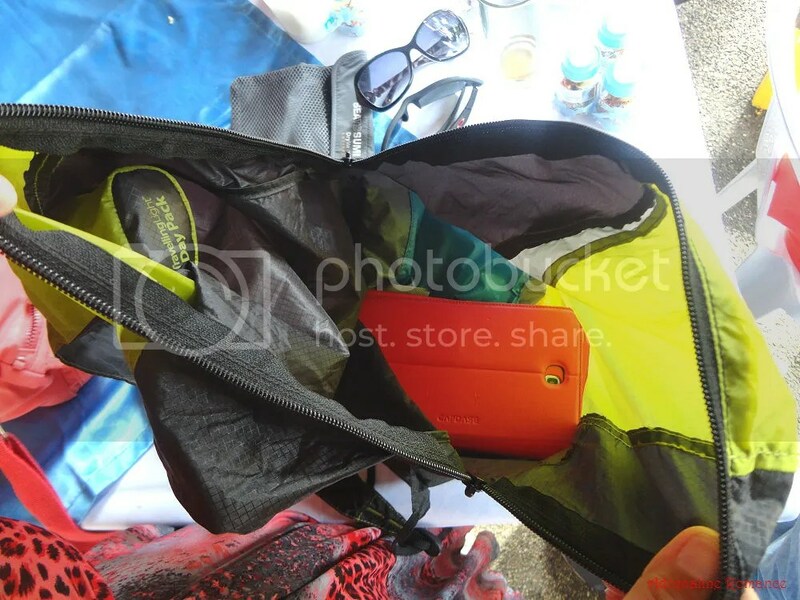 Nevertheless, we are extremely satisfied with the Sea to Summit Ultra-Sil TravellingLight Day Pack. It is now a practical, convenient, and indispensable buddy in our sojourns. 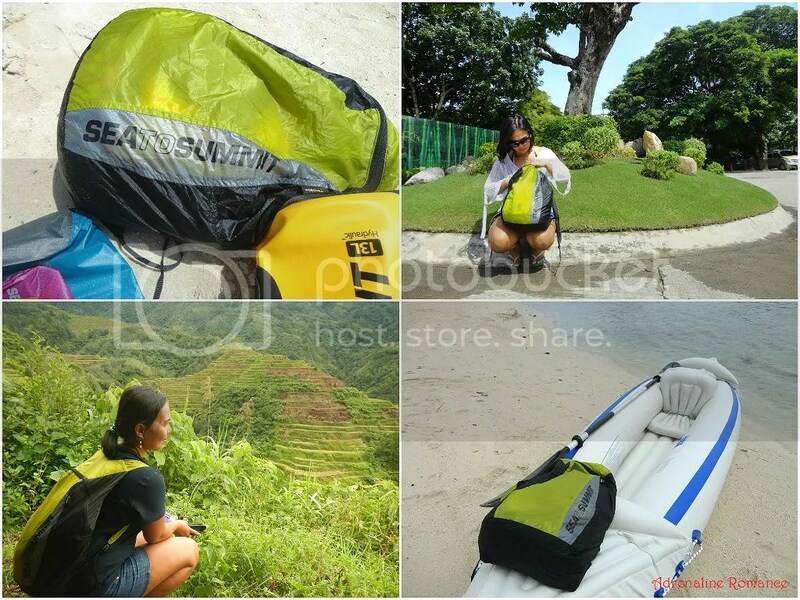 Get your Sea to Summmit Ultra-Sil TravellingLight Day Pack and other quality outdoor gear now! Sea to Summit is available in Sea to Summit SM Cebu (Boutique), Columbia Sportswear Company, District 32 Mactan International Airport, Duty Free Philippines, Eddie Bauer, Flight001, GRIND, Le Grand NAIA Terminal 3, Mountain Hardwear, Olympic Village World Alabang Town Center, R.O.X., Rustan’s, Salomon, The Landmark, The North Face and The Travel Club. Hi Jewey! Yup, that bag is definitely innovative and handy. It’s now one of our best buddies in our travels. Hehehe! Yup, I think Sheila looks better than me when she models the bag. hehehe! Nice! And it can carry 150 lbs… not that I want to carry that weight hehe. Any idea tagpila ni? 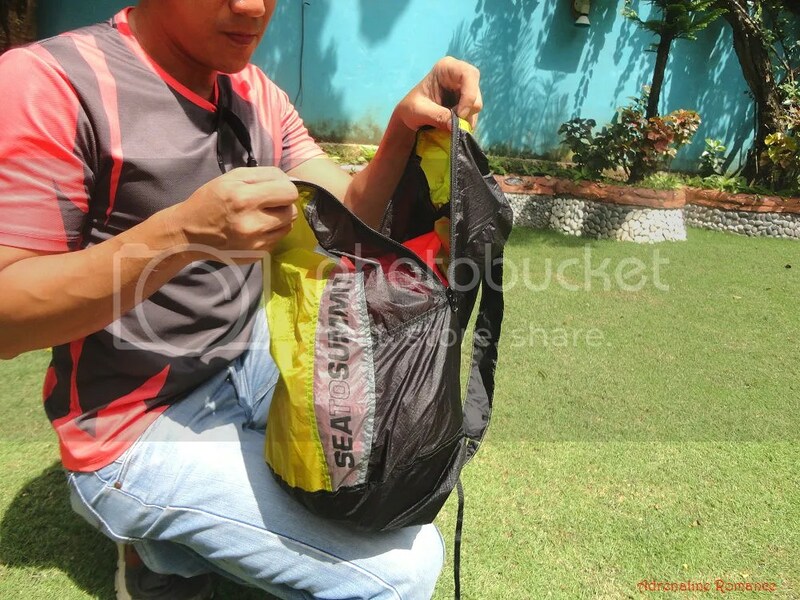 Ganahan sad unta ko dry bag, which one from Sea to Summit would you recommend? This costs almost or about a thousand pesos, but it’s great value for your money. 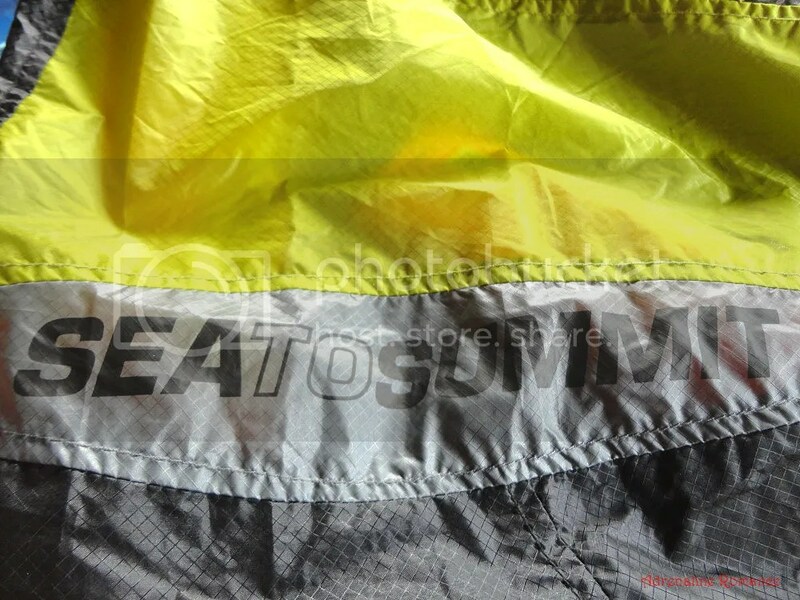 Any Sea to Summit dry bag is fine since they’re all constructed the same way and has the same features. All you need to do is choose your favorite color. Hehehe! Just make sure you wash it with freshwater when you get back home. The salty sea breeze from the beach rapidly eats away at the waterproof coating if you don’t wash the salty moisture right away.